By Svend Grundtvig. Translated by Gustav Hein. The very best of traditional Danish folklore comes alive for the present-day reader in this classic collection originally compiled by specialist scholar Svend Grundtvig. The tales selected for this volume were designed to represent all aspects of the unique cultural heritage of the Danish people. Grundtvig issued an appeal in 1854 for his countrymen to collect and submit the stories, which, until then, were largely oral, handed down from generation to generation. Hundreds of stories were duly compiled, and Gruntvig’s final collection was published in 1876—and became an instant hit. 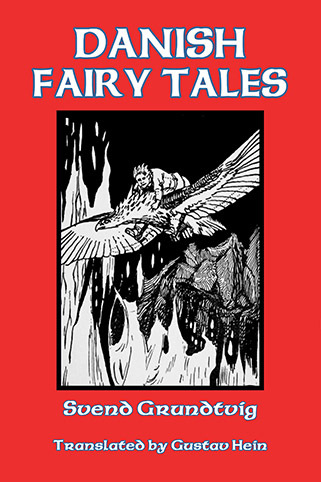 While stories such as “Olaf the Mermaid’s Son,” “The Raven of Salby,” and “Prince Irregang and Maid Miseri” stamped the tales as solidly Danish in origin, other stories such as “The Most Obedient Wife,” “Virtue Its Own Reward,” and “The School of Black Art,” contain moral lessons which could be universal, but which are still unique to this small northern European nation. 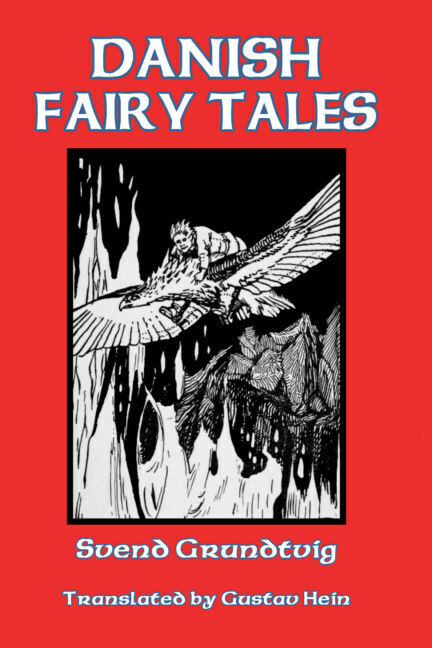 The stories can be read for delight, or as part of serious scholarly research, and are meant to be enjoyed by children and adults alike. About the author: Svend Hersleb Grundtvig (1824–1883) was one of Denmark’s leading literary historians and ethnographers. Apart from his interest in folklore, he also specialized in Danish traditional music. Or buy on Amazon here for $9.95. Or buy on Amazon here for $23.95.